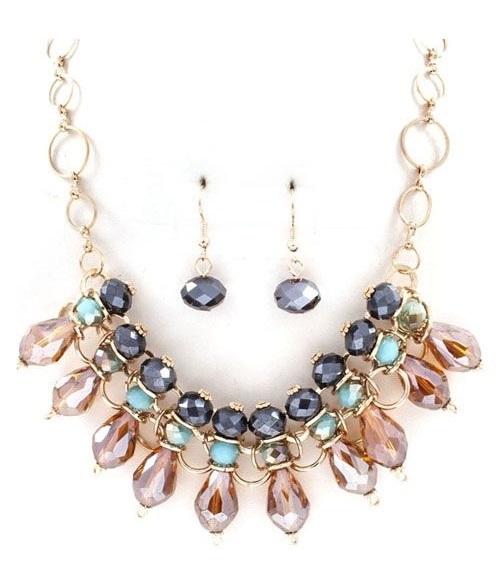 Big and Bold Statement Accessories are a Top Fashion Trend this Fall and Winter Season! As we bundle up to brave the colder weather with thick sweaters and high neck tops, oversized statement necklaces, earrings and bracelets are the perfect addition to your wardrobe and a fabulous way to incorporate plenty of sparkle this season! 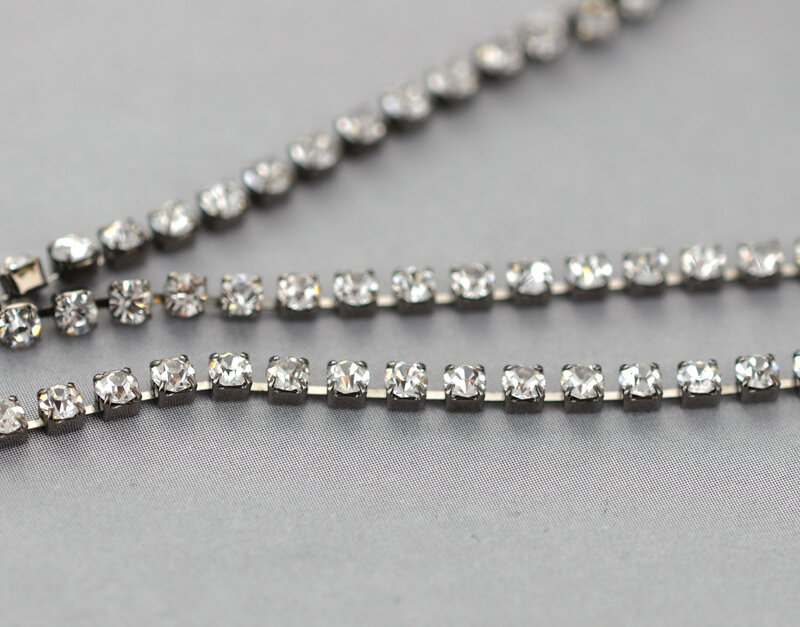 Chunky necklaces incorporating chains and opulent flashes of crystal are in high demand. Swarovski’s innovative products such as Crystal Mesh, as well as various Cupchaings and Findings embellished with SWAROVSKI ELEMENTS are in vogue with their bold and edgy combinations conjuring designs highlighting a glamorously Punk-Baroque style. Swarovski Crystal Cuff Featuring 4627 Emerald Cut Fancy Stone in Crystal AB, 4128 Xilion Oval Fancy Stones in Crystal, 4228 Xilion Navette Fancy Stone in Jet and Jet Hematite, 4327 Pearshape Fancy Stones in Crystal Metallic Light Gold. Fashionistas looking to make a bold statement can wear over-sized crystal cuff bracelets or stack multiple bracelets together for a fun and stylish look. Be edgy yet modern by draping yourself in fall’s must-have clear crystal jewels. Whether you choose earrings, a necklace, or a cuff, pair the statement piece with the season’s deep, dramatic tones to make it pop. Keep the look office-appropriate by pairing the jewelry with cozier knits, tweeds, and sweaters. Have fun with your fashionable accessories this season. Let it be big, bold and beaming with bling! This entry was posted in Jewelry & Color Trends, Jewelry Inspirations and tagged 3239 Chessboard Sew-On Stones, 4128 Xilion Oval Fancy Stones in Crystal, 4228 Xilion Navette Fancy Stone in Jet and Jet Hematite, 4327 Pearshape Fancy Stones in Crystal Metallic Light Gold, 4627 Emerald Cut Fancy Stone in Crystal AB, 6015 Polygon Pendants, 8611 Icicle Prisms, Big and Bold Statement Accessories, bracelets, Cheap Swarovski Crystals, Crystal, Crystal Chandelier Earrings, crystal jewels, Crystal Mesh, Cupchaings and Findings, Discounted Swarovski Elements, earrings, Fall/Winter 2013-2014 Fashionable Jewelry Trends, Fashion, Fashionistas, Genuine Swarovski Crystals, Jewellery, Jewelry, Necklace, over-sized crystal cuff bracelets, oversized statement necklaces, Punk-Baroque style, Rainbowsoflight.com, Shopping, Swarovski, Swarovski Crystal Beads, Swarovski Crystal Cuff, Swarovski Crystal Cupchains, Swarovski Crystal Fancy Stones, Swarovski Crystals, SWAROVSKI ELEMENTS, Top Fashion Trend this Fall and Winter Season, Wholesale Swarovski Beads, wholesale swarovski crystals, Xilion Bicone Beads in Clear Crystal. Bookmark the permalink. ← Celebrate the Holidays with Sparkle and Style!